One of the best parts about living in the South, especially Texas is the scenery. You can be in the middle of a city or countryside and find yourself horses, wildflowers and barn structures. I love them! I've always had an affinity for their open spaces, tall ceilings and wooden walls. Hunting for new locations to photograph has become a favorite past time. When I first started my career after college, I entered into a sales role and sort of was mentally trained to always look for businesses that might be big enough for the solutions that were being sold. Fast forward to almost a decade later and I'm still on the hunt. Now instead of looking for new clients, my eyes are always open for new structures and scenery. Last night I was lucky enough to attend a fantastic concert featuring Stephen Kellogg and Drew Holcomb & The Neighbors at the Heights Theater. I've seen a couple of shows prior at this venue and really love the small intimate space. It's an old theater renovated from the early 20's with tons of charm and the entire place has a good view. Being a huge music fan, I love to hear live shows, but do not like the crowds that come along with it. My favorite venues are the ones where you can interact with the artist. I also really love acoustic shows. Drew Holcomb was no disappointment. Both artists were witty, honest and even better live! If you are interested in hearing more new tunes - check out my Spotify account and I always welcome suggestions for new sounds! 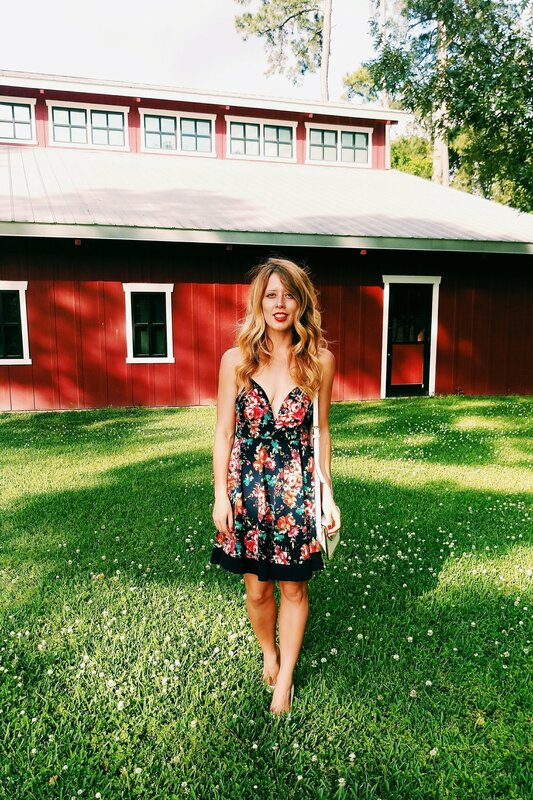 I wore this floral navy and red dress for the evening (found a similar one here for under $20). Originally I paired it with white heels and a cross body bag, but changed part of the way into the evening into flats since the venue was mostly standing room only. Always bring a back up pair of shoes if you are going to be out for the evening. No one likes a complainer and it's tough to be comfortable in a pair of soaring heels. 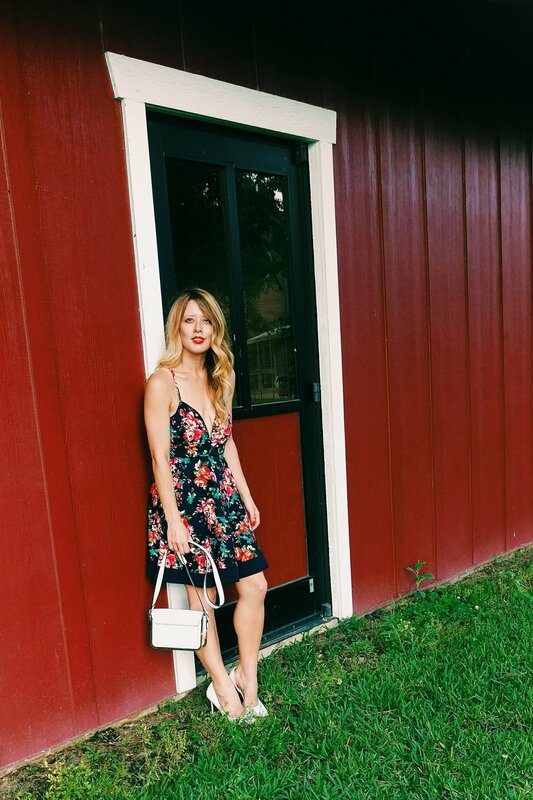 If you are looking for some sweet floral dresses for right now check out this one, this one and this one. Before heading to the show my friend and I grabbed a delicious bite to eat at Shade and Canopy. We had the We ordered the Dairymaids Cheese Selection and sparkling water for a little nibble before the show. The meal was served on and adorable platter shaped like a tree stump round. It featured crostini, apple butter, honey, fruit, pecans and delicious soft cheeses. I've been there a few times before and always have impeccable service. The restaurant is right across the street from the theater! A perfect spot for dinner and drinks if you are looking for a place in the area.